As we’ve mentioned before, sometimes you just have to work with the reality that you are not allowed to stick anything on the walls – especially when your walls are the glass of an office building. A team I’ve been working with recently knew that they needed to come up with a solution to comply and respect their building policy – however the only space was the glass. A policy common in many buildings. However they didn’t let that hold them back! After a couple of weeks they had a feel for how much space they were using, so they designed their own walls. As well as being portable, they also had to let light through so that they weren’t blocking out the natural light. 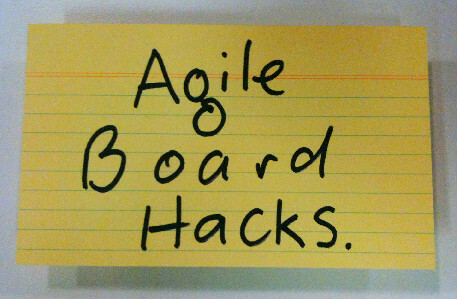 Their innovative solution was clear perspex agile boards – and they are one of the slickest solutions that I’ve seen. Ironically, they are almost too good. 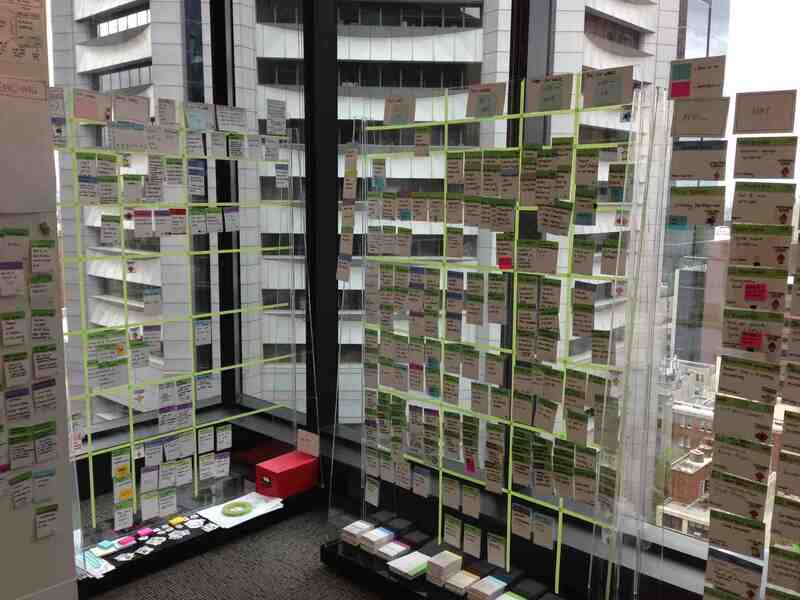 From a distance the perspex agile boards blend into the building windows. Many people do a double take when they realise they’re not on the windows at all! This entry was posted on June 13, 2013, 1:17 pm and is filed under If we tell you we'll have to kill you. You can follow any responses to this entry through RSS 2.0. Responses are currently closed, but you can trackback from your own site.